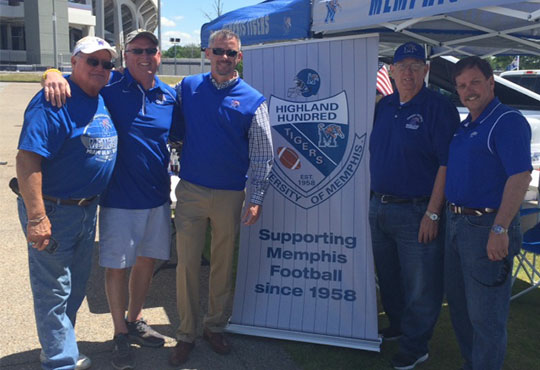 For the 2019 season, all highland Hundred members are limited to (4) four Blue Lot passes. No matter your membership level, you can only purchase a maximum of (4) Blue Lot passes. This will be on a first come first served bases until all spaces are gone. The limit of (4) Blue Lot passes is a restriction levied by the University Athletic Department. All Highland Hundred Blue Lot parking will be in our own designated parking - Lot 15. 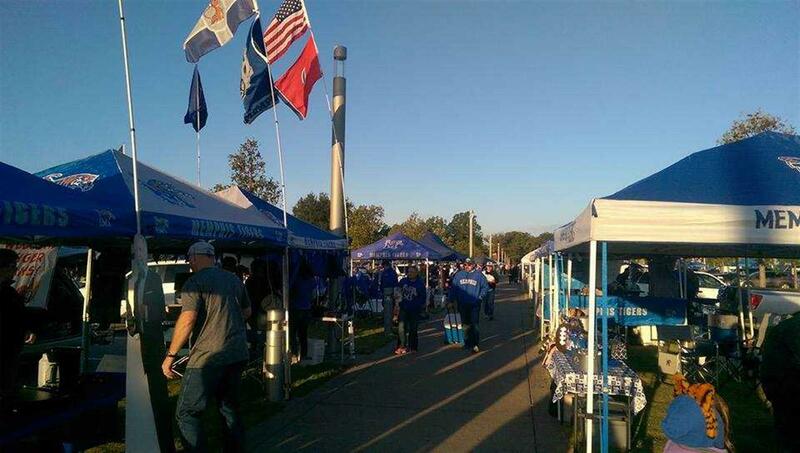 Lot 15 is beside Tiger Lane tailgate section B. Refer to the FAQ page for more information regarding membership levels and other pertinent information regarding Tiger Lane Blue Lot parking. Recent Graduate and Current Student members are not eligible for Tiger Lane or RV passes. Single Level members may request up to 1 Tiger Lane Pass (if available). 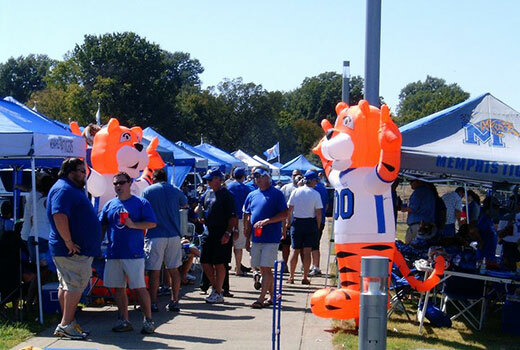 Family Level members may request up to 2 Tiger Lane Passes (if available). Corporate and Coach's Circle Level members may request up to 3 Tiger Lane Passes (if available). Each vehicle MUST display an appropriate pass at the entry point before admittance. Each parked vehicle must have pass visible at all times. Parking in Highland Hundred designated Blue Lot is determined in numerical order based on purchase date. You must park in your designated number parking space. 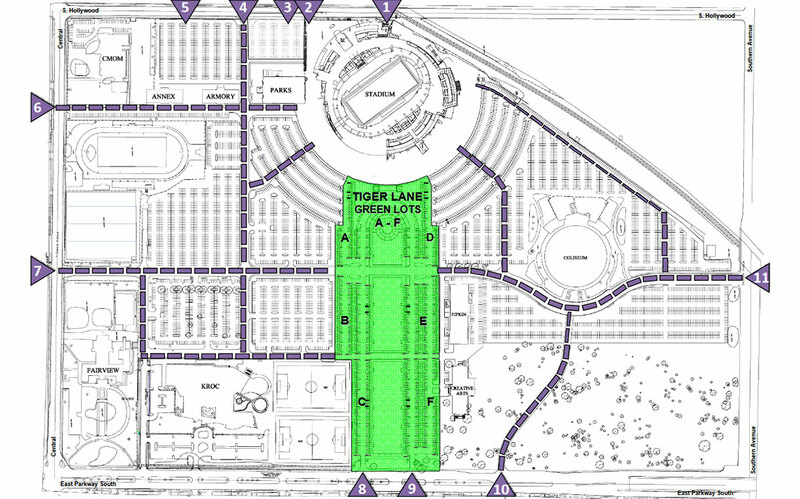 Tiger Lane Passes (Green Lots A-F) and RV Passes are assigned specific parking spots. The centerpiece of the parking is the green promenade that is 160 feet wide and 1300 feet long, opening up a stunning vista between East Parkway and Liberty Bowl Memorial Stadium. Each space in this area is equivalent to two parking spaces. 10-12 feet is for your car or pick up and another 10 feet in the area to set up your tents, chairs, etc. These spaces are perpendicular to the sidewalk along Tiger Lane. Each space has an electrical outlet. You can bring a regular size grill. Containers will be provided for coals by the stadium. Each space is numbered and assigned to you. It is yours. No one else should park there. Security will police our area. This is the place to be for pre-game atmosphere. No tents or any other items that need to be staked to the ground are allowed on the large grass promenade that leads to the stadium. This is in keeping with the City of Memphis rules and regulations. There is a sprinkler system under the ground in that area. Fans can set up blankets and picnic here and kids can run, throw the football, etc. The Highland Hundred has a limited number of RV spaces with electrical hookups. We are not able to offer any other spaces for RV's. Also, any large cookers cannot be parked along Tiger Lane. Members must buy the appropriate number of spaces in the Blue Lots or contact the Park Commission for any other suggestions. To the fullest extent permitted by law, member and guests of the "Highland Hundred lot" shall hold harmless the officers and board of directors, in their capacity as such, and the Highland Hundred as an organization, from and against claims, damages, losses and expenses, including but not limited to attorneys' fees, arising out of or resulting from the use of the "Highland Hundred lot".